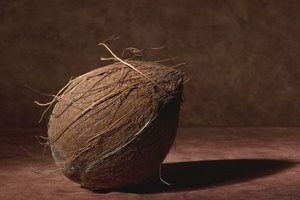 Coconut is one of the true MVPs of health and beauty. It’s credited with the ability to do everything from build muscle to reduce blood pressure, and it can even do your taxes (okay, that last one isn't true). At this point, it wouldn’t be surprising if Time named coconut as the 2019 Person of the Year. Processing an entire raw coconut, though, remains pretty darn intimidating. Coconuts are the largest nut in existence, so naturally, it takes a few special steps to crack ‘em open—but it’s worth it. Fresh coconut meat and water tastes a million times yummier than the packaged kind. 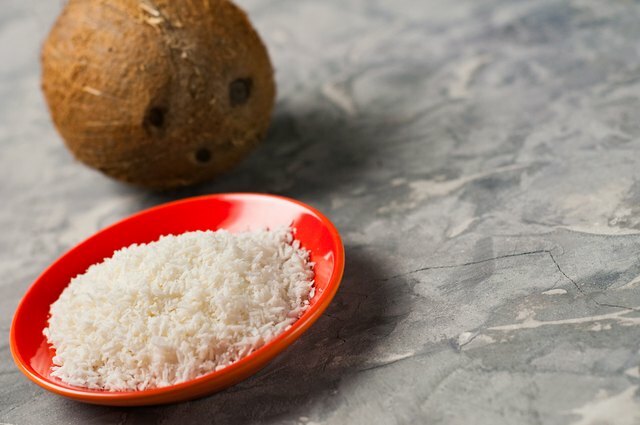 Whether you plan to cook with it or eat it as a snack, raw coconut is packed with nutritional benefits, including tons of minerals, fiber, protein, and energy-boosting fats. In many coconut-growing countries, locals traditionally use a sharp machete to chop coconuts open. For people with experience, machetes are easy to wield, but for others? Not so much. Thankfully, there is another less-terrifying method of coconut preparation. All you need is a baking sheet, a screwdriver, and a hammer. 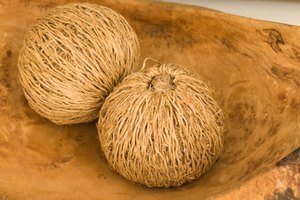 First, it’s helpful to heat up the entire coconut so the meat will loosen more easily from the thick, hard coconut shell. Preheat your oven to 350°F. Place the whole coconut onto a baking sheet and pop it into the oven for around 20 minutes. Then, set the coconut aside to cool. Next, look for three indentations near the stem; these are the “eyes” of the coconut. Use a screwdriver (or a skewer or ice pick) to test these indentations to find the softest one. Then, poke the screwdriver through to create a small hole. Turn the coconut upside down over a glass or bowl and give it a good shake to get all of the water out. Lastly, grab a hammer and a towel. Wrap the coconut in the towel, and with a light but firm hand, use the hammer to tap the coconut near the hole you created. Keep tapping until the coconut breaks in two. Congratulations—you have now cracked a coconut! At this point, you can simply use your hands to peel the meat away from the shell bit by bit. Use a butter knife if necessary. If you notice brown bits still attached to the skin, that’s normal. It’s called the coconut pellicle, and it’s safe to eat. If you prefer, though, you can also remove the coconut pellicle with a regular vegetable peeler. 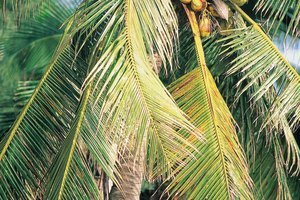 The meat can be eaten fresh or used in any coconut recipes. You can grate it, shred it, toss it into a food processor—the sky is the limit. Fresh coconut water is delicious plain. Cool it in the refrigerator for a refreshing, hydrating, and nutrient-rich drink. It’s also a great addition to coconut cocktail recipes. The meat, on the other hand, can be used for endless coconut recipes. 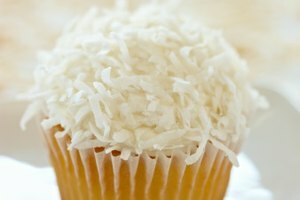 If you have no idea where to start, try conquering these two basic coconut preparations. Divide the meat into strips. Toast it on the stove for about 10 minutes until it’s browned and smells delicious. Eat plain or add it to baked goods, granola, oatmeal, fruit salad, or trail mix. Add 2 cups of shredded coconut to a high-speed blender. Add 3 cups of water and a pinch of salt. Test the consistency and texture. If it’s too thick, add another cup of water. Strain the liquid through a nut milk bag, cheesecloth, or a thin, clean towel. Pour into a container and refrigerate. You now have fresh, edible raw coconut—and nobody got hurt with a machete. 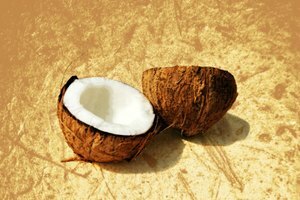 OneGreenPlanet: The Other White Meat: Why You Should Eat Coconut for Strong Muscles and More! Kim Wong-Shing is a writer, lipstick junkie, and plant mama in New Orleans. She grew up in Philadelphia and went to Brown University. She's previously written about wellness, beauty, pop culture and other topics for LittleThings, NaturallyCurly, Lifehacker, HelloGiggles, Wear Your Voice Magazine, and other publications.